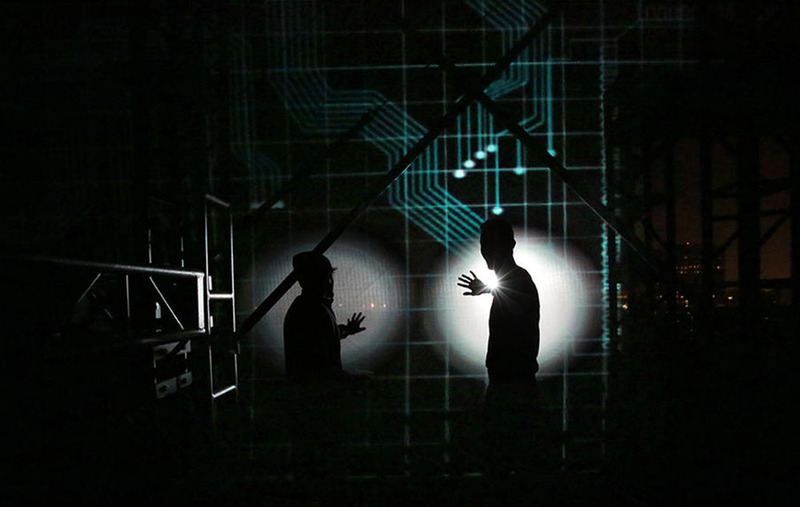 Designer Heather Shaw of Vita Motus was commissioned by Red Bull at Night to transform a downtown LA rooftop into a larger-than-life multimedia installation. Inspired by the exponential growth rate of technology and futurist theories of Ray Kurzweil, this piece combined live performance and visual art to chart the journey through the evolution of technology. It ran ran for two nights only at a previously undisclosed location. 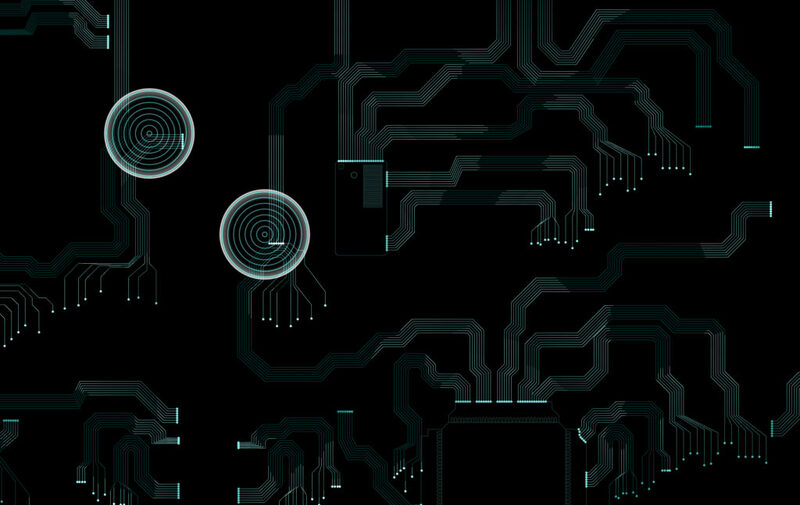 Peter Sistrom of [namethemachine] was part of the team of artists who created content for this immersive experience. 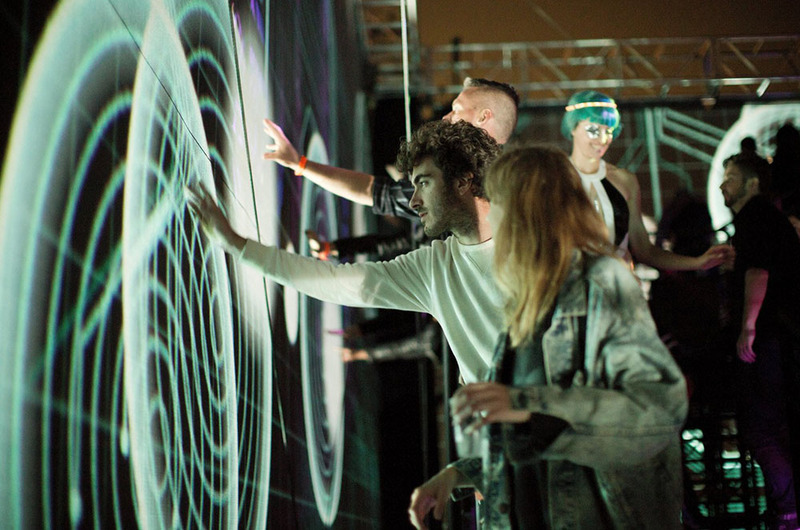 Interactive visualizations by Peter Sistrom respond to touch and movement. Full view of The Circuitry of Life presented by Red Bull at Night on the Exchange Building Rooftop in Los Angeles, CA.